What's more New England than a hoodie that holds your beer for you, comes with a built in bottle opener and says Wicked Pissah across it? We're not sure we can think of anything, but we challenge you to try! 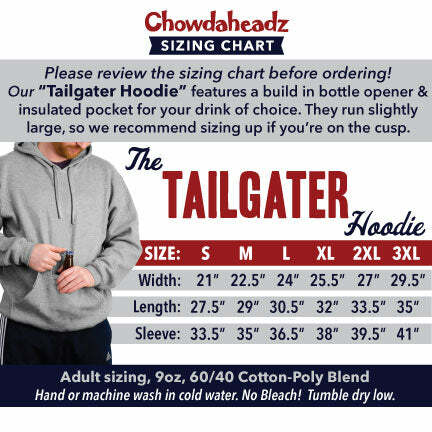 With this hoodie, you're never without a spot for a cold beverage, and you can easily keep both hands free without putting your drink down. The koozie pocket also closes with velcro so it's another great option for safe storage for your phone, keys, or wallet.